- Pneumatic system of SMC with dose pump for proper circulation of electrolyte. - Batch counter for counting the varied jobs. - Specially designed for engine valves using PLC technology. 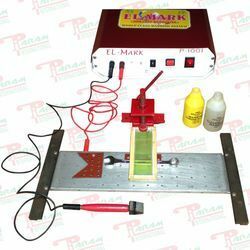 We manufacture and supply a wide range of roll marking and Electrolytic Marking Machine extensively used to mark specifications in the rolls. 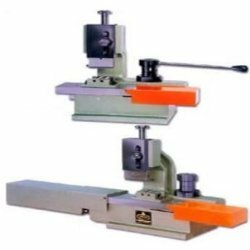 Material: Iron, Stainless Steel, Mild Steel, Carbon Steel, Copper, Brass etc. Voltage: Input 115/240V AC. Output 6 to 24V AC.